For most families, choosing a new home is the biggest financial decision they will ever make. There are many complicated decisions involved in choosing a new home. To protect your interests and assure that you make the best possible decisions, it’s important that you have an agent on your side who is an expert in the local real estate market. As your agent, our focus is on getting you the best possible home at the best possible price. We will work hard not only in finding you potential new homes to see, but also in keeping you informed of everything that takes place during the purchase process. As your experienced agent with knowledge in the Cape Cod market, we will negotiate the best prices and terms for you and answer all of your questions as they arise. 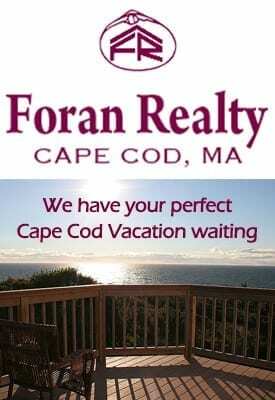 For a no cost obligation consultation on buying a home on Cape Cod please contact the professionals at Foran Realty, Inc., 585 Route 6A, Dennis. 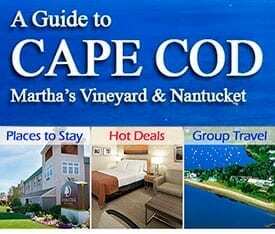 Telephone: 508-385-1355. You can save yourself a lot of wheel-spinning if you take a minute to figure out how much mortgage you can afford. Generally, a lender will want your monthly mortgage payment to total no more than 31% of your monthly gross income (that’s your monthly income before taxes and other paycheck deductions are taken out.) You also need to consider current loan interest rates. The lower the interest rate, the more expensive the home you’ll be able to afford. Each of these, and other items, are assigned a value and a weight. The results are added up and distilled into a single number. FICO scores range from 300 to 800, with higher being better. Typical home buyers likely find their scores falling between 600 and 800. FICO scores are used for more than just determining whether or not you qualify for a mortgage. Higher scores indicate you are a better credit risk, and thus may qualify for a better mortgage rate. What can you do about your FICO score? Unfortunately, not much. Since the score is based on a lifetime of credit history, it is difficult to make a significant change in the number with quick fixes. The most important thing is to know your FICO score and to ensure that your credit history is correct. Conveniently, Fair Isaac has created a web site www.myFICO.com) that let’s you do just that. For a reasonable fee, you can quickly get your FICO score from all three reporting agencies, along with your credit report. Also available is some helpful information and tools that help you analyze what actions might have the greatest impact on your FICO score. Each of the credit services offers similar services on their web sites: www.equifax.com, www.experian.com, and www.transunion.com. House hunting is an exciting experience, but after looking at multiple homes it can be confusing. The US Department of Urban Housing and Development (HUD) has provided a HOME BUYING CHECKLIST to help you keep track of each home that your tour, making comparing homes much easier. 1. Failing to use the services of an experienced REALTOR. Many times buyers avoid using the services of a REALTOR under the mistaken belief that it costs them money – or that they will be able to negotiate a better deal directly with the seller or seller’s agent. This can be an expensive mistake. When buying a home, if you are negotiating directly with the seller or seller’s agent, you may not be taking advantage of the best deal available in the marketplace today! You can have your own REALTOR, a Buyer Broker or Purchaser’s Agent, who is committed to using the experience gained through hundreds of successful negotiations for your benefit – at no charge to you! Your agent can be paid from the same commission that the seller’s agent is paid from – by the seller. Real Estate is a unique business, where an agent with one day’s experience and no sales gets paid the same as an agent with several years experience and hundreds of successful sales. An experienced agent can help you avoid the other costly mistakes outlined here, and make your home buying experience an enjoyable, stress-free one! 2. Not knowing who the agent is really working for. It is important for buyers to know and understand for whom the agent helping with the house hunting is actually working. The agent may be working as a sub agent – representing the seller’s best interests during negotiations – or as your agent representing your best interests during negotiations. If you are not sure who your agent is working for – ask for clarification. Your REALTOR must fully explain the new agency laws. When negotiations commence, wouldn’t you want to know whether information you divulge will be used for the seller’s benefit – or your’s? 3. Failing to have a Comparative Market Analysis prepared before offering. Before you make an offer to purchase that special home, you must have a good idea what the market value is to ensure you do not overpay. Your agent can prepare a Comparative Market Analysis showing what similar homes have recently sold for, and the difference between the asking and selling prices. This is the same type of report the seller receives when deciding on an asking price. Wouldn’t you like to have access to the same information as the seller? 4. Failing to recognize different negotiating styles and strategies. 5. Failing to have the home inspected by a competent home inspection company. Buying a home is a major purchase usually made after spending just half an hour looking at the home. Isn’t it worth ensuring you will not be surprised later with deficiencies costing thousands? Your REALTOR can recommend several reputable companies for you to choose from, and will ensure the appropriate home inspection clause is inserted in the offer. 6. Not knowing and understanding your rights and obligations set out in the Offer To Purchase. 7. Letting emotion blind reason. Buying a home is an exciting time and is usually an emotional decision. It is important that those emotions be validated by facts and reason. An experienced agent will help to remove the emotion from the negotiating process and provide you with the information you need to make the right decisions. 8. Failing to take the steps to be financially pre-qualified, and having an interest rate guarantee before looking at homes. Knowing how much you can comfortably afford before looking at real estate for sale will ensure you are looking in the right price range and prevent you from buying a home that will strain you financially and emotionally. Having an interest rate guarantee will protect you in times of fluctuating rates and ensure that your initial projected payments do not suddenly escalate, resulting in extra interest charges. An experienced REALTOR can help you initiate this process and can also recommend alternative sources of financing. Being aware of these mistakes will help ensure you receive best value for your dollar when the time comes to buy your new Cape Cod home!